Provide comfort for the family of Robert Rickard with a meaningful gesture of sympathy. Robert J. Rickard, 80, of Brewster, NY, passed on February 1, 2019. Robert was born to Joseph and Helen Rickard, February 16, 1938, in Queens, NY. He graduated from Power Memorial Academy in Manhattan, NY in 1955 and received a Bachelor of Science degree from Iona College in 1959. He married Barbara Schoeller in 1961, and they lived together for over 50 years in Brewster, NY. Together they raised four children. He is survived by his wife and children: Lynn Wooley, Patricia (Christopher) Caridi and Suzanne (Michael) Moore of the Town of Southeast, NY and Robert S. (Kimberly) Rickard of Natick, MA, as well as ten grandchildren. His children remember him as a loving father and devoted husband. He was preceded in death by his sister, Eileen Fernandez of Fort Walton Beach, FL. He also leaves behind his brother James (Patricia) Rickard of Hopewell Junction, NY. 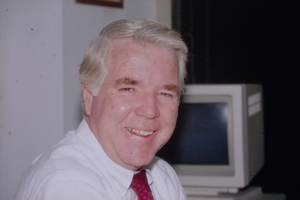 Robert spent most of his career as an accountant at IBM until he retired from a senior level position in 1994. After his retirement, he continued his relationship with the company, consulting for three years in Singapore to lead an effort to implement new financial systems. A wake is scheduled for Thursday February 7, 2019 at 4pm-8pm at Beecher Funeral Home in Brewster, NY. A funeral mass will be held on Friday February 8, 2019, 10 am at St. Lawrence O’Toole Church in Brewster, NY. A reception will follow at Las Mañanitas, Brewster, NY. Rev. Richard Gill will officiate the ceremony. The family requests that donations be made to Toys for Tots, https://www.toysfortots.org/donate/ and or American Cancer Society https://donate3.cancer.org. Entombment of Mr. Rickard's Cremains at the new Columbarium in Section 8. IN THE 1990 -1991 TIME FRAME, BOB AND I TRAVELED THE WORLD FOR IBM, HE WAS A GREAT COMPANION AND I EXTEND MY SINCERE CONDOLENCES TO HIS SPOUSE AND FAMILY, I WILL ALWAYS REMEMBER BOB IN MY PRAYERS. Please accept our deepest sympathy for the passing of your father. Uncle Bob taught me the joy of coin collecting and took me to an awesome coin show in Singapore. 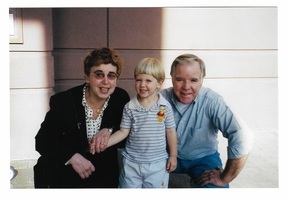 I'll always remember the trips out West and meeting him at Zion national park with Aunt Barbara and my parents. The times in Florida at their condo were special, especially watching the NY Giants win the Super Bowl; and going swimming in earlier years. God bless him for being my uncle. sending our love and condolences to the Rickard and Moore families.